Starbeck.com Educational resources and topic boxes for schools. 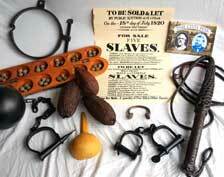 African Slavery artefacts for the classroom. 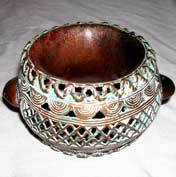 The slavery items we offer, are replicas and are offered as educational items only. We are famous for our unique nationwide approval box service. Above is a typical Slavery approval box. The Starbeck approval box system is simple. 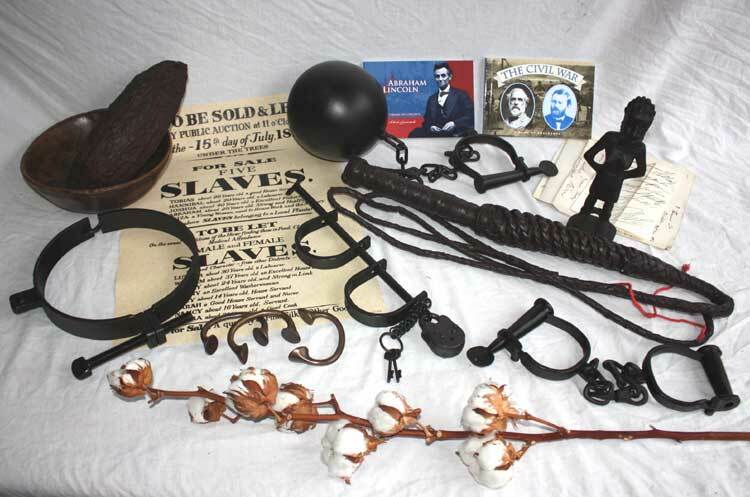 You tell us roughly what your budget is and we will send you, free of charge, a wide selection of Slavery objects, which we believe will be suitable for you to choose from. You can keep the box for up to eight working days, giving you time to examine and choose the artefacts that you wish to keep. The choice is entirely yours. You are under no obligation to take anything - we will invoice you only for any items that you have kept.